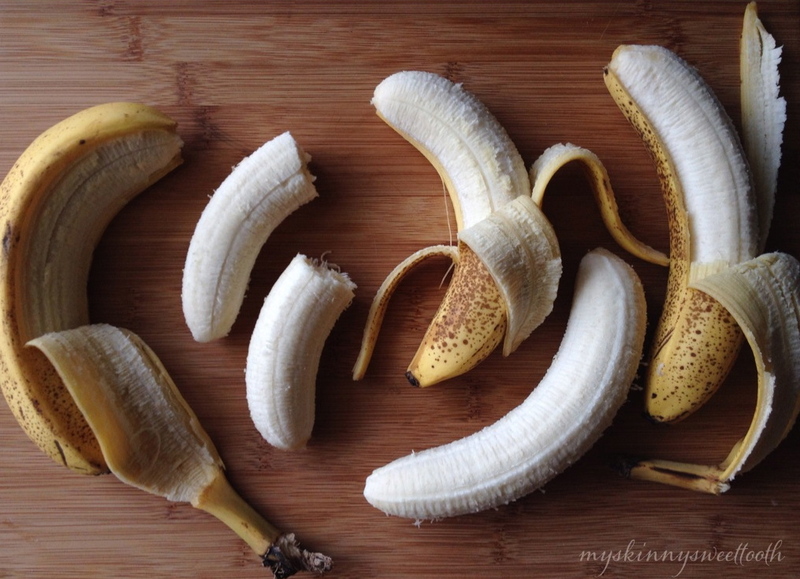 Look at those beautiful speckled bananas. There are so many things that could be made when bananas are at this glorious state; banana bread, smoothies, and of course, ICE CREAM! 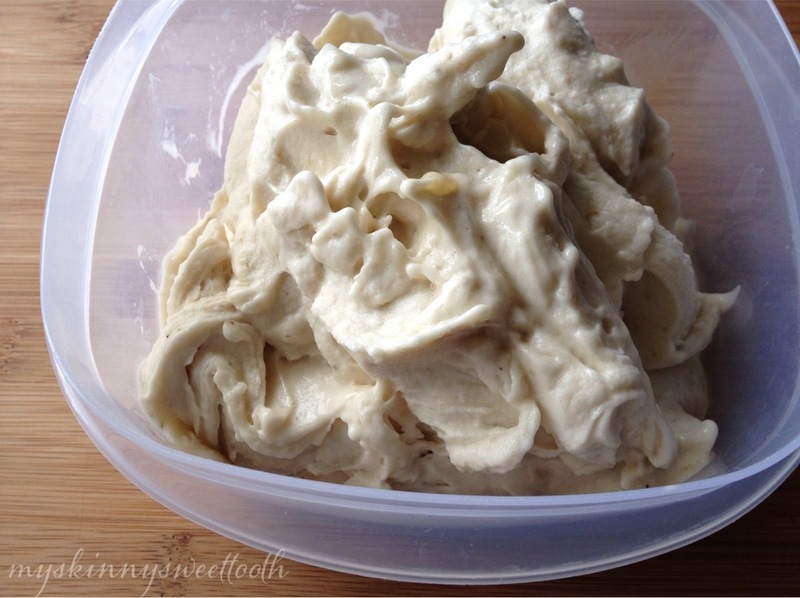 I know the recipe for this is all over the internet, but I was recently asked by my good friend, Kara, if I had ever made banana ice cream and if I would share the recipe with her. Apparently her experience was disastrous, which I know a thing or two about 😉 So, I know there’s hope. 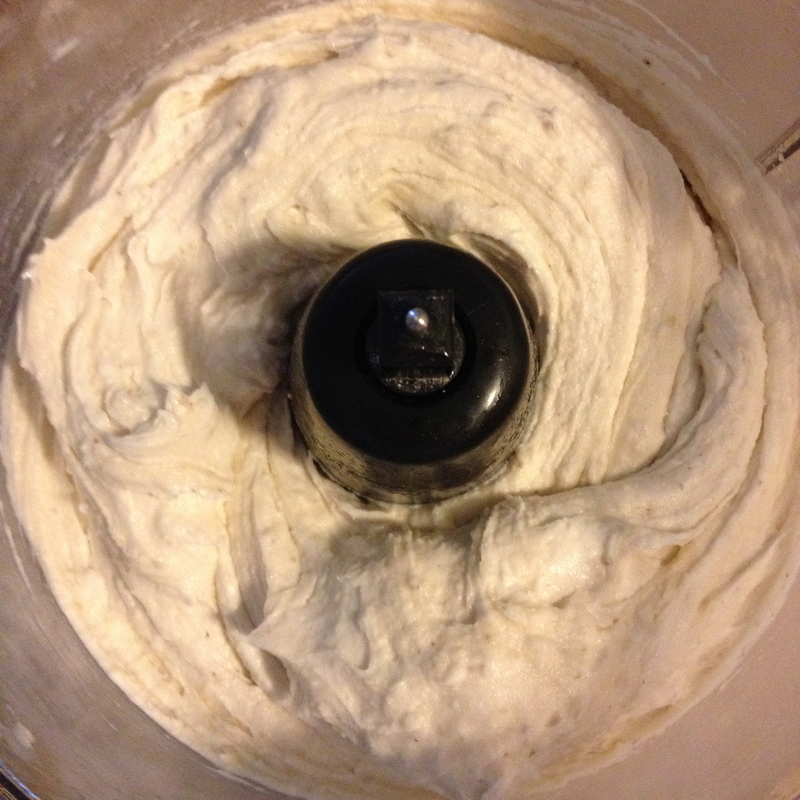 I played around with the idea one night and was really impressed by how creamy and ice cream-like it turned out to be. Plus, I’m one who loves when a recipe can have many, many variations and I’m so excited to explore them. Gosh, I love me some guilt free ice cream 😉 Oh, did I mention the base recipe is 0pp? ZERO. Love it. 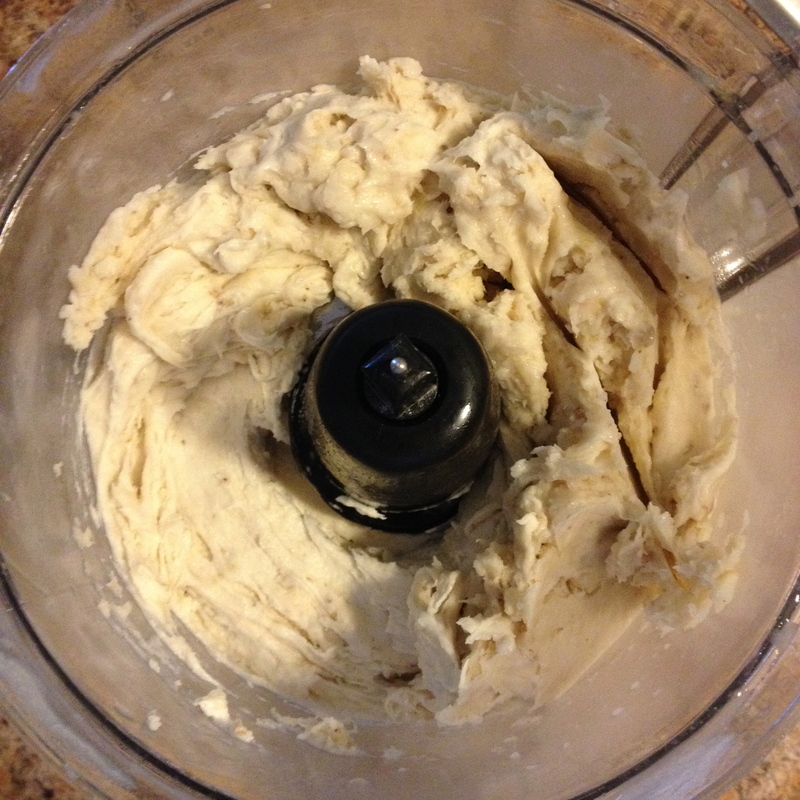 When you’re ready to make ice cream, add frozen bananas to a food processor. 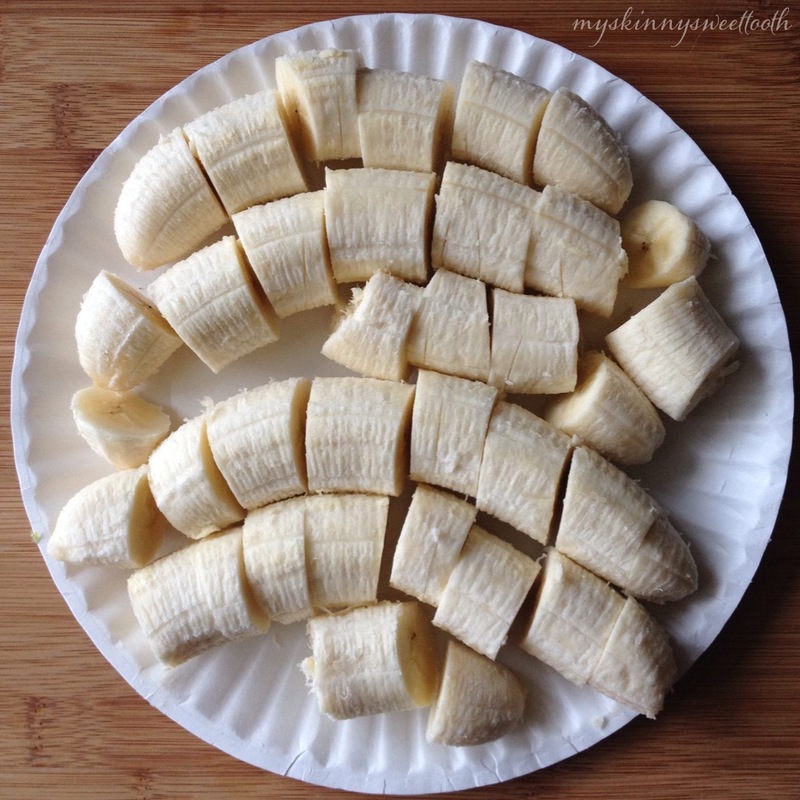 Gently pulse until the banana starts to break up. 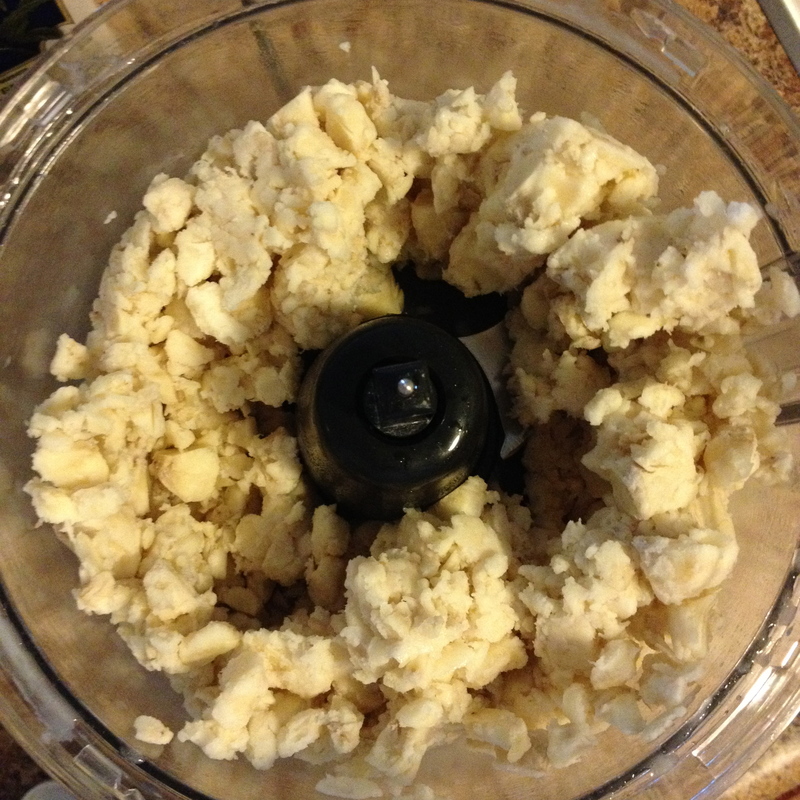 Scrape down sides and pulse some more until it’s all beautiful and creamy. 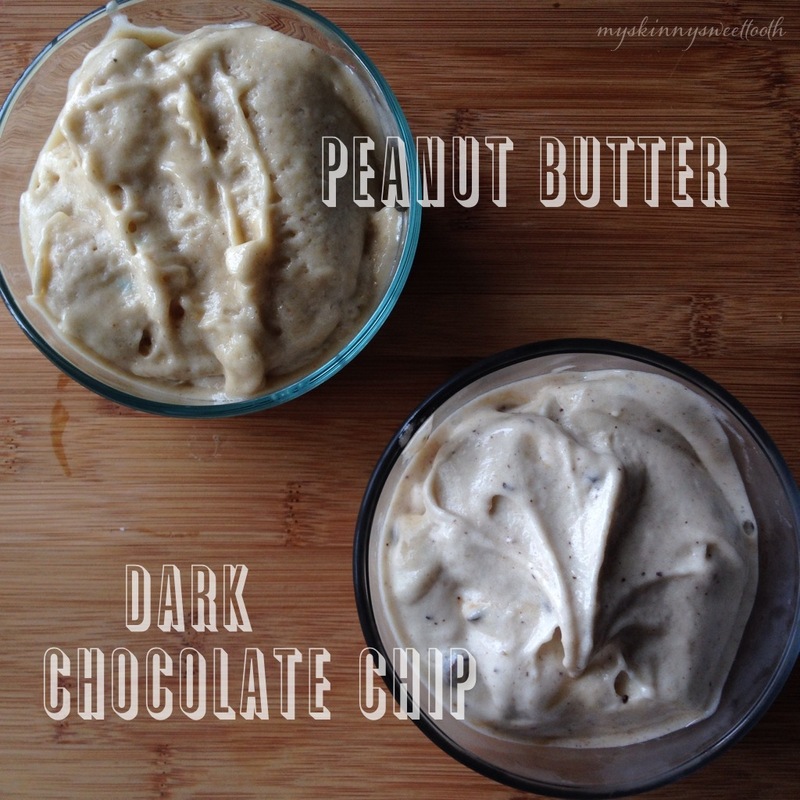 (add almond milk if desired/needed*) Yay ice cream! 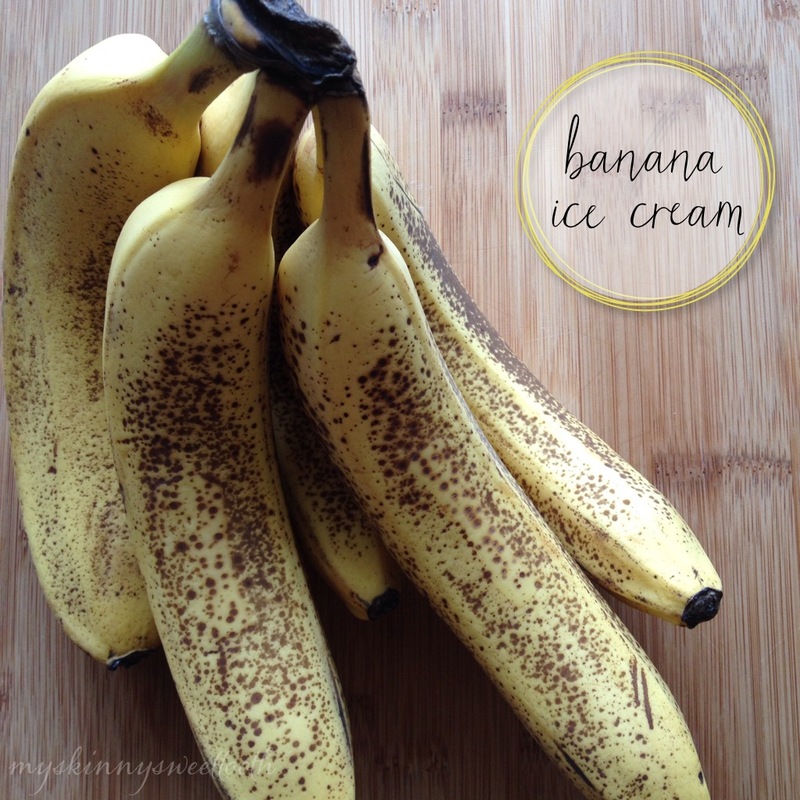 Place the banana ice cream into a freezer safe container and let it hang out until you’re ready to enjoy! With the batch of banana ice cream that I made (with 5 frozen bananas), I was able to split up the mixture and make two different kinds of ice cream: peanut butter & chocolate chip (2 cups each). 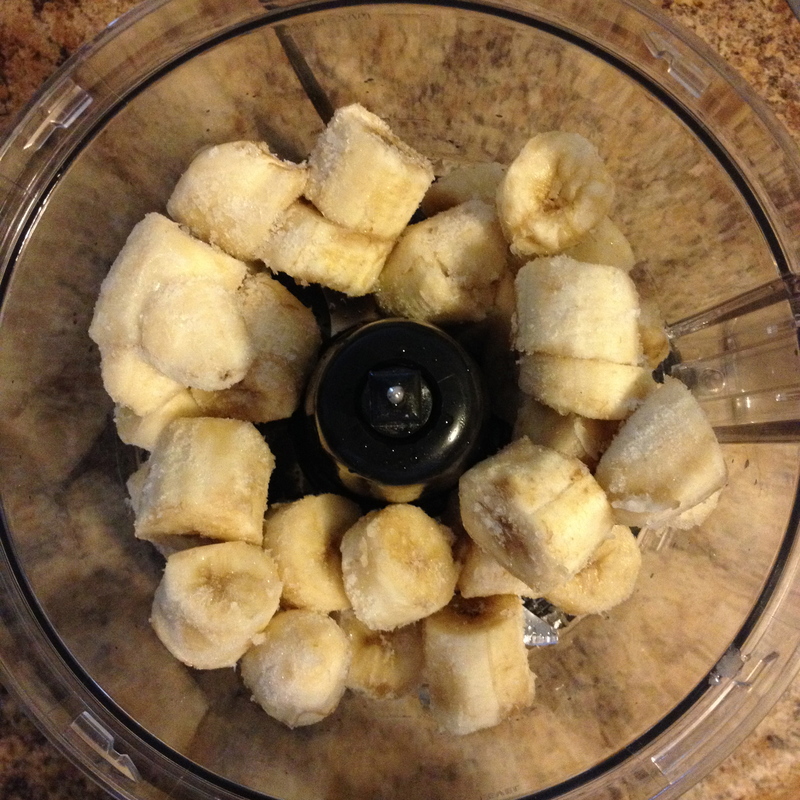 Blend 1T PB2 into 2 Cups of banana ice cream. Tada!! Pulse 21 dark chocolate morsels (I use Guittard Extra Dark) into 2 Cups of banana ice cream. Freeze and enjoy! I love ice cream and banana is one of my favourites 🙂 Glad you even shared my ultimate favourite: chocolate chip ice cream! it looks delicious! 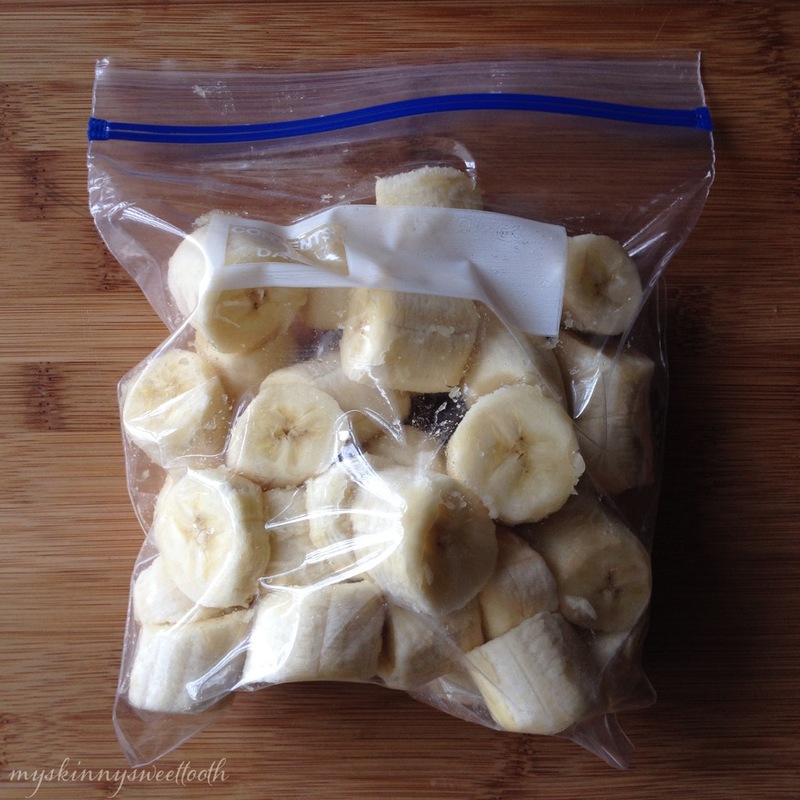 or you can use the PB2 chocolate with the bananas! YUM!! !